Avi Buffalo: Victim of circumstance | Will You Miss Me When I'm Gone? Avi Buffalo has an interesting sound, a weird girl-voiced guy singer, great guitar work and a great woman drummer. But the band’s set, moved indoors at the Solid Sound Festival drew a sparse crowd because of the impending headlining set by Jeff Tweedy of Wilco. Too bad, as it was a good set. 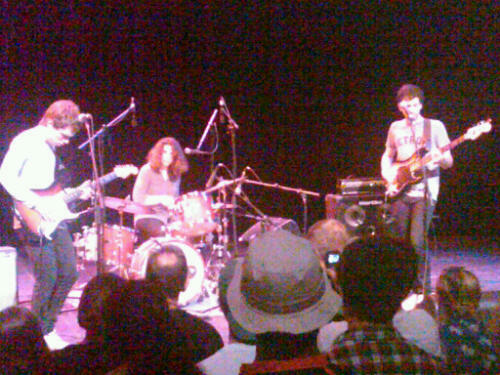 This entry was posted in Concerts, Music, Pop and Rock and tagged Avi Buffalo, MASS MoCA, Solid Sound Festival, Wilco. Bookmark the permalink.